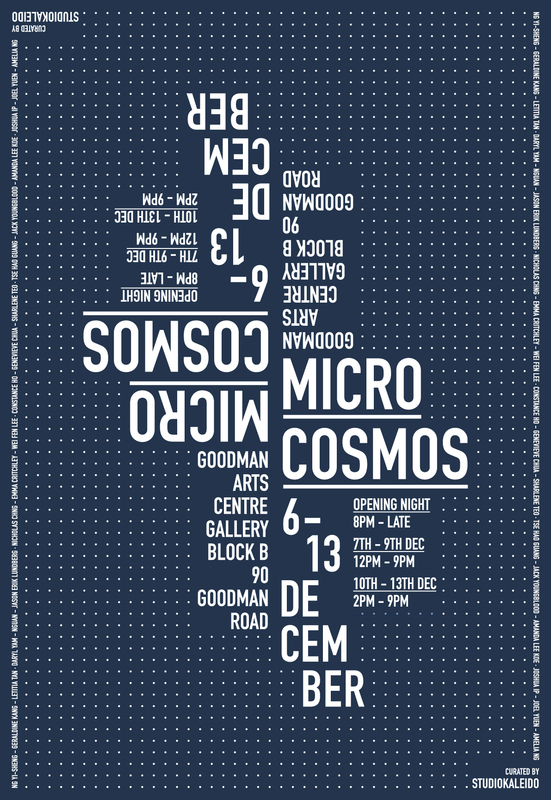 The exhibition ‘Microcosmos’ opens next week at the Goodman arts centre in Singapore. This group show is curated by Winnie Goh and Amanda Lee and features the work of six international artists: Geraldine Kang, Nguan, Emma Critchley, Genevieve Chua, Jack Youngblood, Joel Yuen. DiverseCity at Singapore Art Museum opens this Thursday and runs from 16 November 2012 to 2 December 2012 SAM at 8Q. Some of the collaborative work I have been making with Singaporean artist Genevieve Chua will form part of the exhibition. Singapore International Foundation’s (SIF) DiverseCity celebrates the breadth and global reach of Singapore art, and the collaborations and friendships between local and global artists. This multidisciplinary showcase is the culmination of the foundation’s programmes in 2012 for connecting communities through art. At the heart of DiverseCity are 108 projects by 92 Singaporean artists and arts groups that were presented in 91 cities of 34 countries in 2012. Supported by SIF’s Singapore Internationale grant, these cultural ambassadors shared insights into Singapore with global communities through exhibitions, performances, and artistic collaborations. This year’s showcase also features the collaboration between Singaporean Genevieve Chua and Briton Emma Critchley under the bilateral SIF-British Council Artist-in-Residence exchange programme and the multilateral Project Glocal – a cross-cultural exploration of Bangkok, Hong Kong, Manila and Singapore involving 30 artists from these four cities, driven by SIF programme alumna, Filipina curator Dayang Yraola (the Philippines). Brighton’s 10th Cine City film festival opens this Thursday! Waters meet: Breath explores the reciprocal exchange continuously taking place between the body and the animate space that surrounds it. A freediver slowly breathes up, preparing to enter a river at the point where two waters meet. The work explores how the shift in sound and image blurs the boundaries between body and environment.